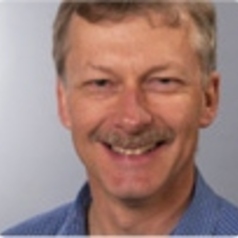 Chris Dickman gained his PhD from the Australian National University in 1984, and spent several years working at the University of Oxford and the University of Western Australia before arriving in Sydney in 1989. The major focus of his research is the investigation of factors that influence the distribution and abundance of terrestrial vertebrates. For the last thirty years his primary focus has been to elucidate, by observation and field experiment, the factors that regulate vertebrate diversity in arid Australia. Research on the exceptionally rich communities of small mammals, birds and lizards of this region provides an opportunity to contribute to theoretical debate about the importance of biotic and physical processes in shaping population and species dynamics, and especially to achieve practical conservation and management goals. Chris has published several books and over 300 papers on his research, many in collaboration with Honours and PhD students and professional colleagues in Australia and overseas. He is a Professor in Terrestrial Ecology at the University of Sydney and a Fellow of the Australian Academy of Science.